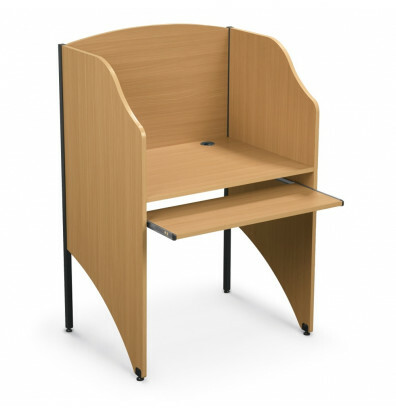 Balt student study carrel offers a laminate surface for long-lasting appeal. 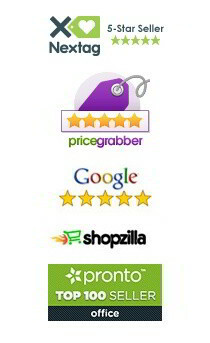 Handy retractable keyboard shelf is space saving and allows for organization. Wire management grommet helps organize messy cables. Ideal for environments where privacy is required. Ships ready to assemble. 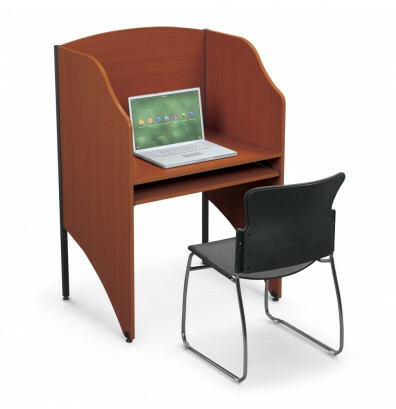 The student study carrel can be joined with add-on carrels to form a row. Upgrade using pop-up grommet charging ports for power accessibility. Trade Agreements Act (TAA) compliant.